Chiplun’s residents today speak of their connections with Mumbai against this history – which reveals a relationship that is really deep. Chiplun became a gateway for us not just into the Konkan region and its tryst with the railways – but a paradoxical gateway into Mumbai’s heart – back again. 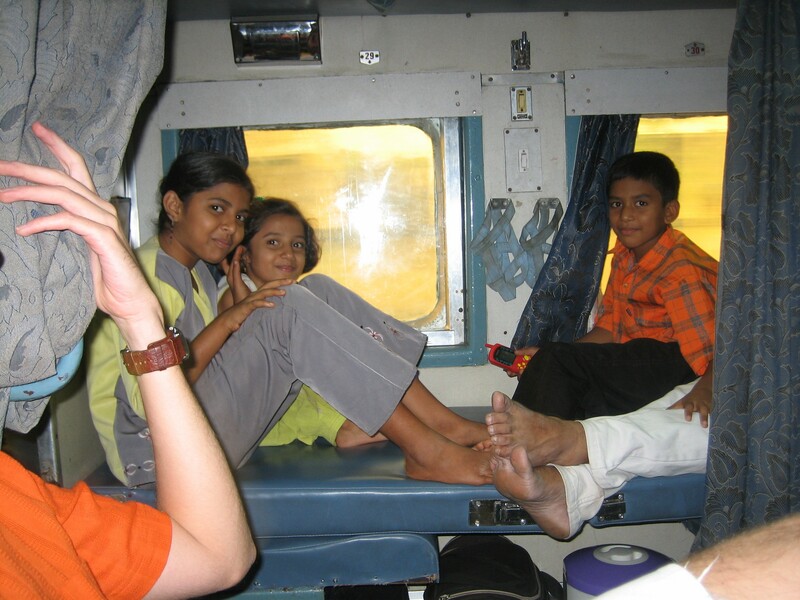 From Mumbai to Chiplun on the Konkan Railways. 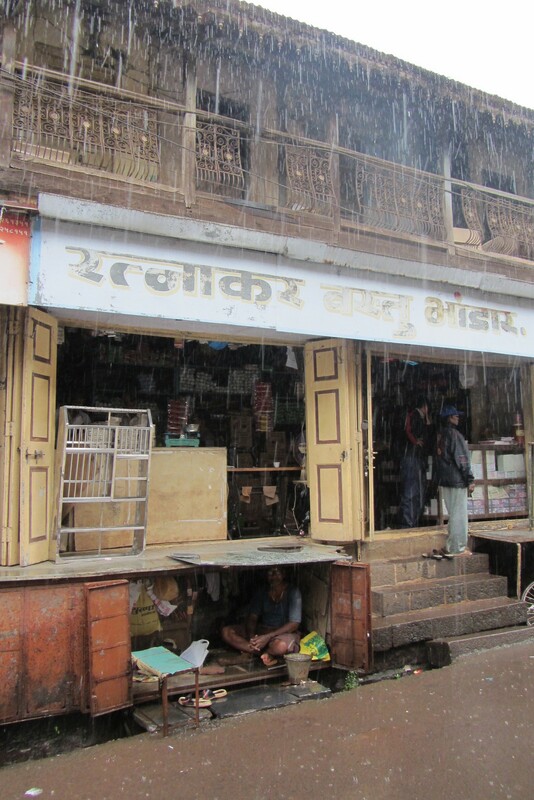 Central market in Chiplun, near the old port. Bombay Steamers. No longer steaming on the Arabian Sea. 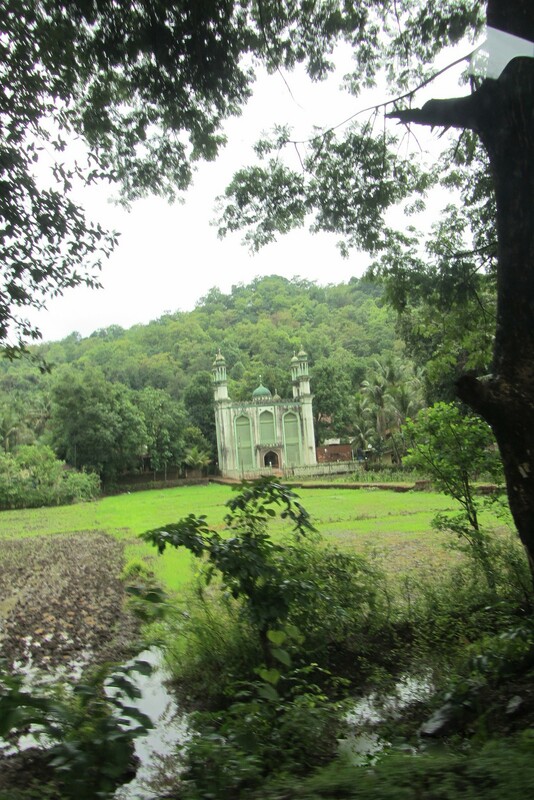 A mosque in its natural environment. 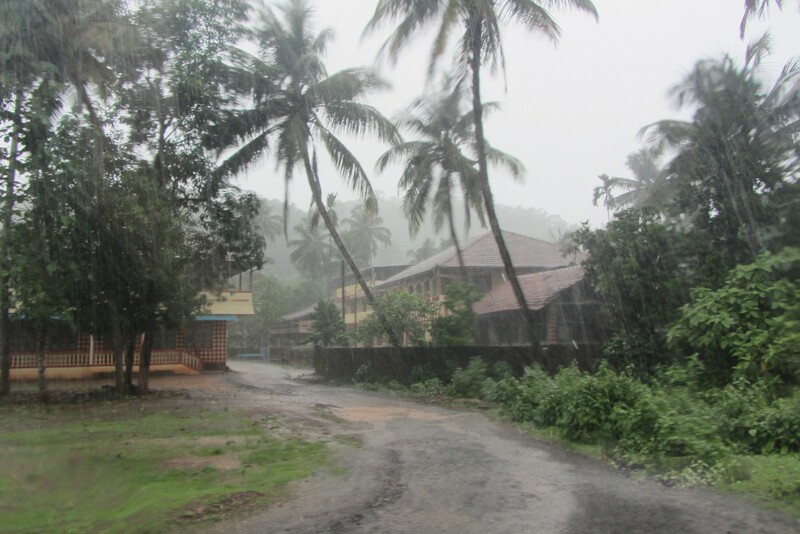 Muslim communities have lived on the Konkan Coast for centuries. The river is seldom used for the transportation of goods anymore. 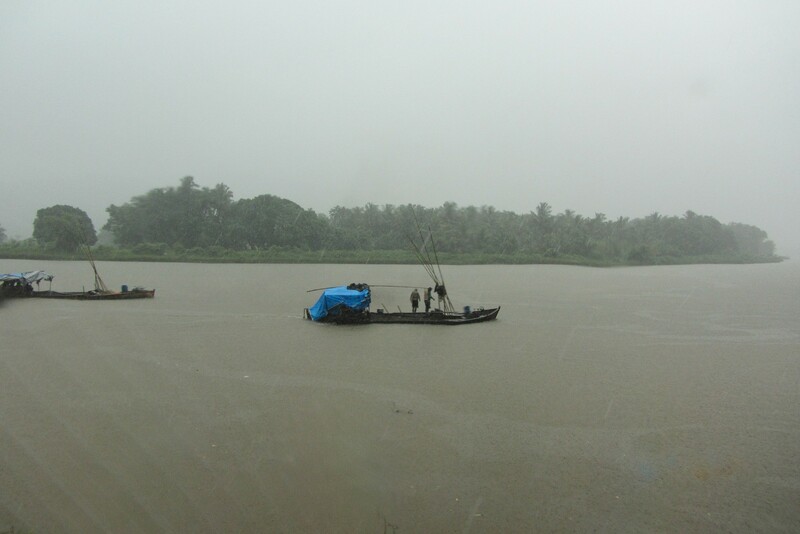 The boats pictured here are not sailing as much as they are collecting sand from the bottom of the river. This sand is then sent to Mumbai and its region by truck, to be used for construction. Muslim Village with a main street called “London Street”. Many of the men of the village work in Dubai and send money back home. 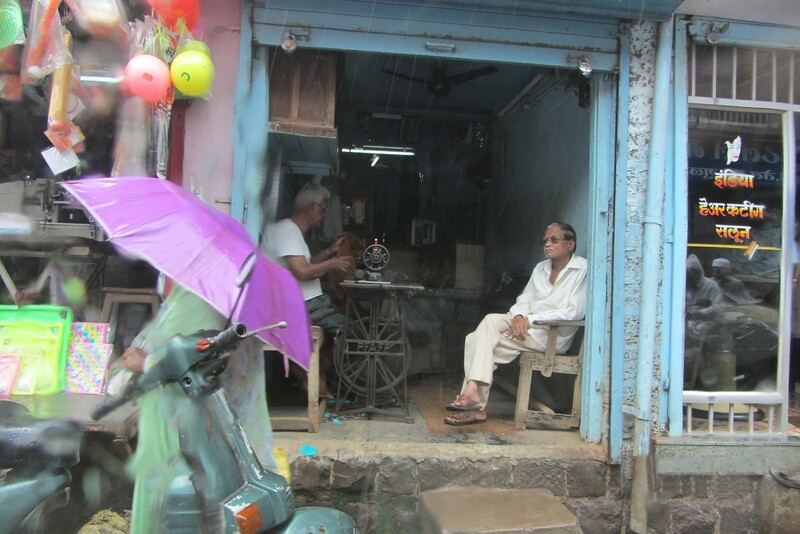 Traditions lives on in the village, sometimes thanks to reinvestment from Mumbai or Dubai. Chiplun is on our radar as part of our inquiries into the Konkan railway network along the west coast of India where trains started rolling down its beautiful landscape only in 1998. 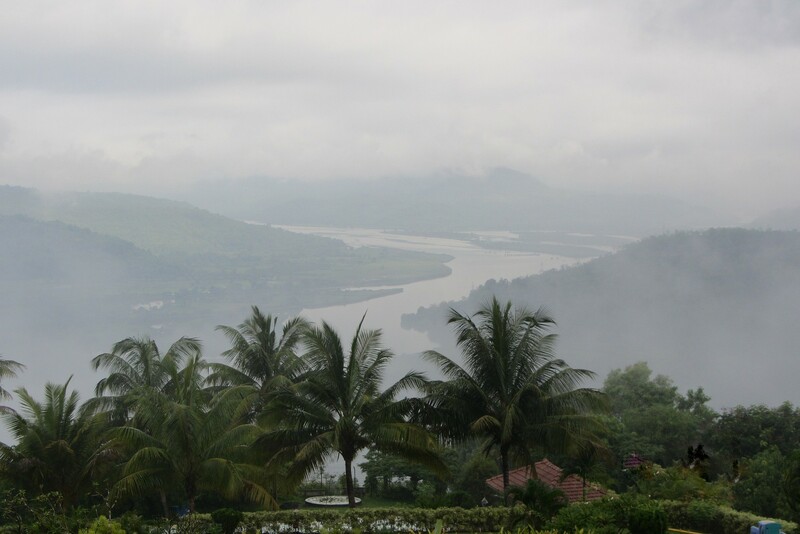 It is situated on NH17, the Mumbai-Goa highway, around 320 kms from Mumbai, and is part of the district of Ratnagiri. The city developed mostly along the highway, which was completed in the 1970s connecting it to the major centres around, mainly Mumbai and Ratnagiri city. The highway has itself replaced the port, which has a very old history. Located around 43 kms from the coast, Chiplun’s traditional, pre-road access to Mumbai and the world was dependent on the Vaishishti River that took people and goods to and from the ocean. We found the Chiplun-Mumbai corridor teeming with traffic. Students regularly go to Mumbai for higher education, especially since their institutions are affiliated to Mumbai University. Teachers attend weekly meetings at the University in Mumbai. We found traces of Mumbai all over Chiplun. In the aspirations of young students looking for jobs in the big city, just like their forefathers. In the conversations of businessmen who moved up and down the highway in air-conditioned cars and buses. In the voice of a very articulate, local politician- builder, who felt that the railway network reflected the duality of his own janus-faced profession. As a politician he decried the railways for bringing in a rising tide of ‘outsiders’ and ‘migrants from U.P. and Bihar’ and as a builder he knew that the tracks brought with them a speculative rising wave and lots of profits. The story of course became more intricate as we delved deeper into this fascinating, flood-prone town’s history, where local architecture adapts to the inevitability of floods by making an upper level for storage and safety an intrinsic part of its architecture. We saw how interwoven its historical fabric is with the river it is set in. The city grew around the local port, which was a knot on the channel moving towards the sea. The sea was part of a system of trade and migration that connected this entire region to Africa and the Middle East since the 11th and 12th centuries. In the 16th and 17th centuries, the Dutch, Portuguese and British fought to control the trade and even set up factories in this region. The Konkani Muslims who live here have had active connections with South Africa at one time, the middle-east later and today are very much part of Dubai’s urban system through circular routes of migration going there, hand in hand with that of Mumbai’s and London’s as well. For centuries, without any railways or good quality road system, migration and movement relied on fishing boat networks along the sea and riverines that punctuate its landscape. The records of the Bombay Steam Navigation Co. Ltd, which operated steamer services shows that in 1911/12, more than a 100,000 people left the ports in Ratnagiri for Mumbai and as many returned from the city. If you saw the statistics in Mumbai, in the mid-nineteenth century itself there were already 111,865 residents from Ratnagiri District living in the Metropolis and they comprised the largest single group born outside the island city who lived there. By 1911 residents from Ratnagiri accounted for 27% of all migrants in the city of Mumbai! However they either saw the metropolis as a second home, or switched sides to see their native town as one – but rarely relinquished one for the other. 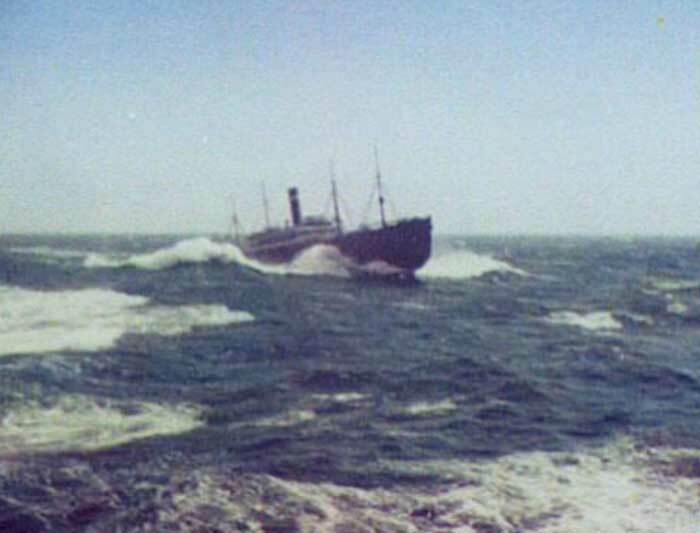 They moved up and down, alternating between mill work and agricultural work with seasonal regularity, relying on the Bombay Steamers – a gigantic, dispersed, seasonal, sea based, commuting system. Chiplun’s residents today speak of their connections with Mumbai against this history – which reveals a relationship that is really deep. Consider the fact that the workforce for Mumbai’s textile mills, that boomed through the late 19th and early 20th century, came substantially from the whole Konkan region. 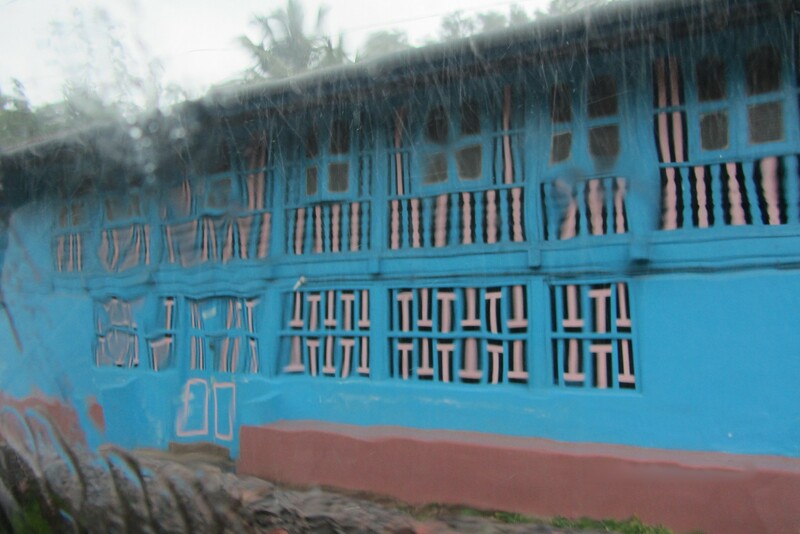 By the early 20th century almost half of the workforce in the textile mills was from Ratnagiri district alone! This made the residents of Mumbai and Chiplun part of both urban worlds all through the century. And they remain so. Of course the textile mills have shut, and the workers have been dispersed. But mainly to habitats in Mumbai itself, like in Bhandup and Ghatkopar, where homegrown neighbourhoods emerged in the 1980s, on hills and around the urban forests, exactly when the mills were being closed down. A significant proportion of the city’s Maharashtrian work force still belongs to this coastal region. It is the fuel behind the political parties that rally around the question of identity and brings the political imagination of the city back to the coast. You see more of Mumbai in Chiplun these days, in the suburban four storied buildings, with flats and speculative rates to match. And like many flats in Mumbai – also remaining empty for most of the year, being used as second homes by those living in the metropolis. This constant connect between the two places makes arriving there and returning to some place else part of the same story. At one point of time, people cease to know which is which, the experience becoming like a double headed snake. Chiplun became a gateway for us not just into the Konkan region and its tryst with the railways – but a paradoxical gateway into Mumbai’s heart – back again. It became clearer to us when we spoke to residents in the beautifully laid village like habitats – not on the coast – but atop the hills of Bhandup – Ghatkopar. The residents, who had bought their native topography and architecture with them to these habitats, spoke of homes at both ends of the spectrum. From that majestic height, they saw a city that seemed to extend way beyond the official horizon. And could imagine their home across that as well – nestled in the hills and valleys of this magnificent coastline. This article is an extract from a study of the Konkan Railways the Institute of Urbanology is currently undertaking with the support of the Forum of Mobiles Lives in Paris. Circulatory urbanism featured in the Milan Triennale's (2019) exploration of the threads that connect humans to their natural environments.